By buying this product you can collect up to 2320 loyalty points. 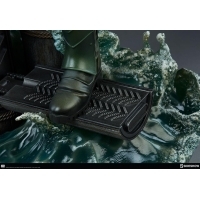 Your cart will total 2320 points that can be converted into a voucher of RM23.20. Right on target! 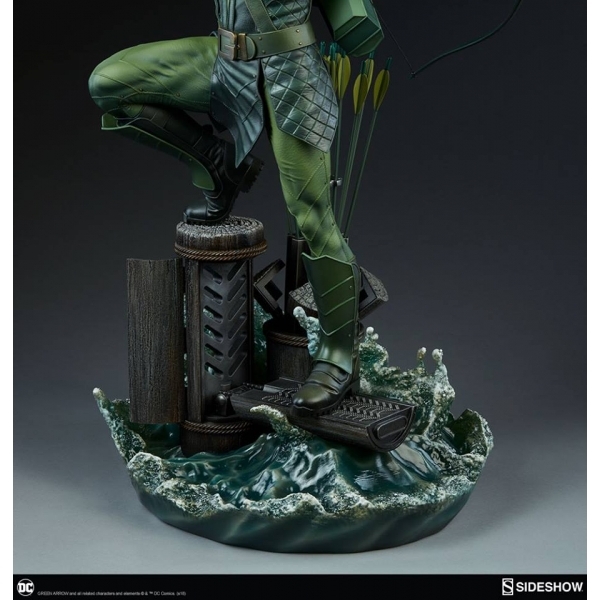 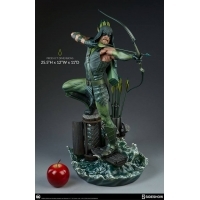 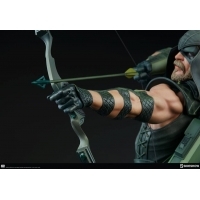 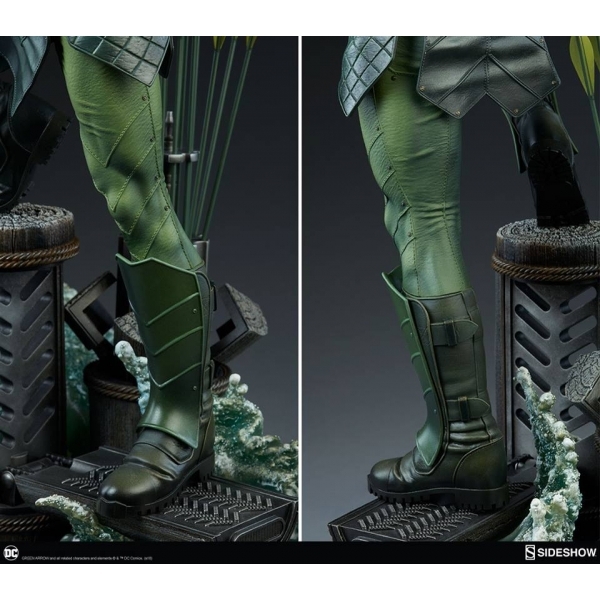 Sideshow is proud to present the Green Arrow Premium Format™ Figure. 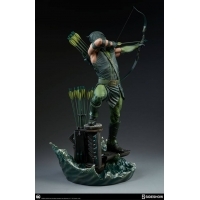 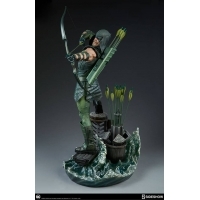 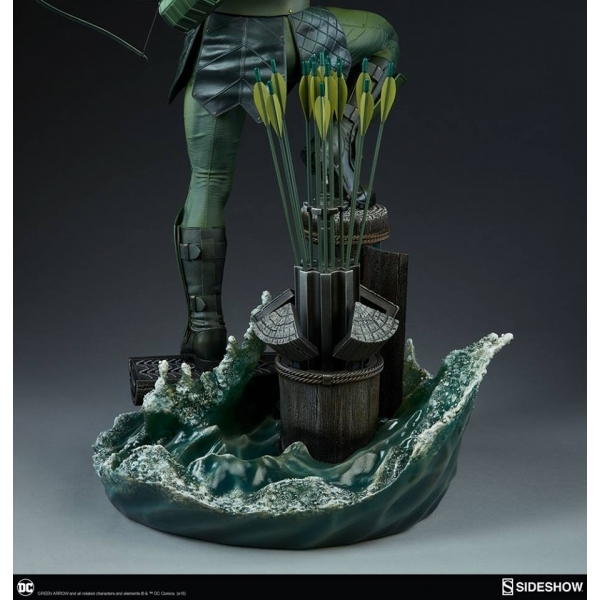 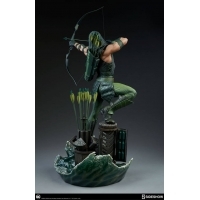 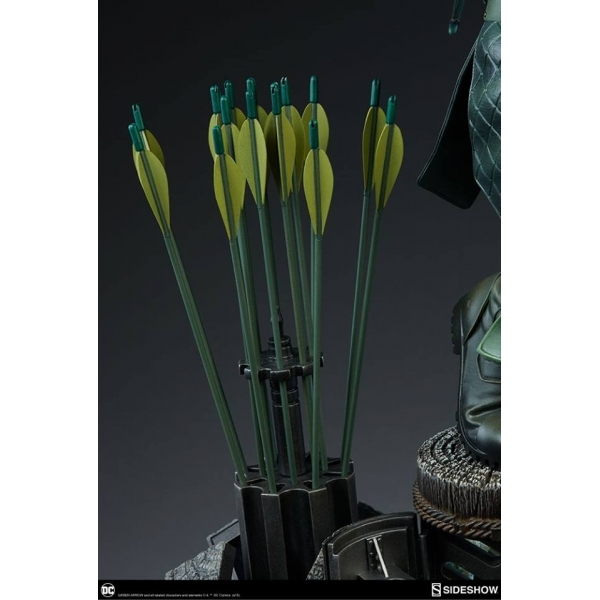 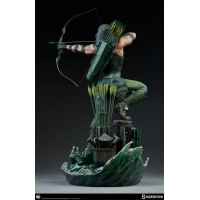 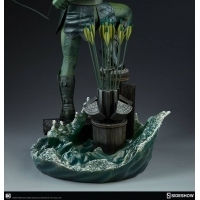 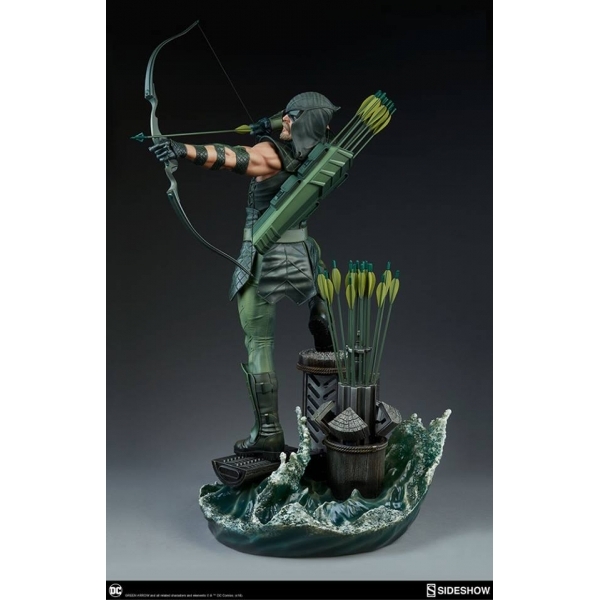 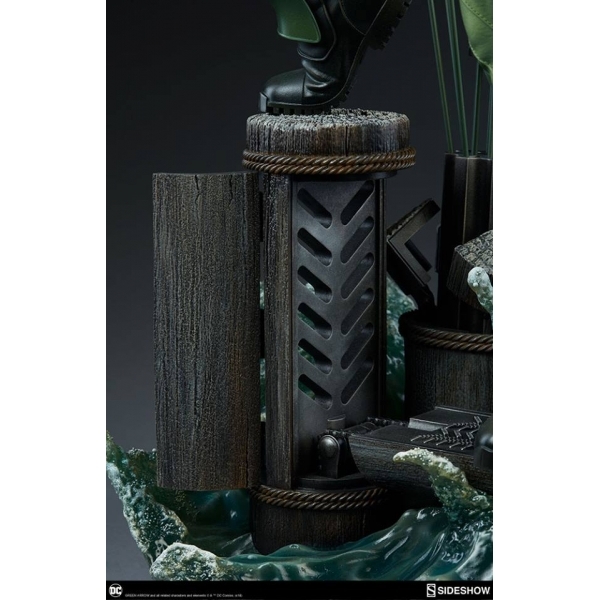 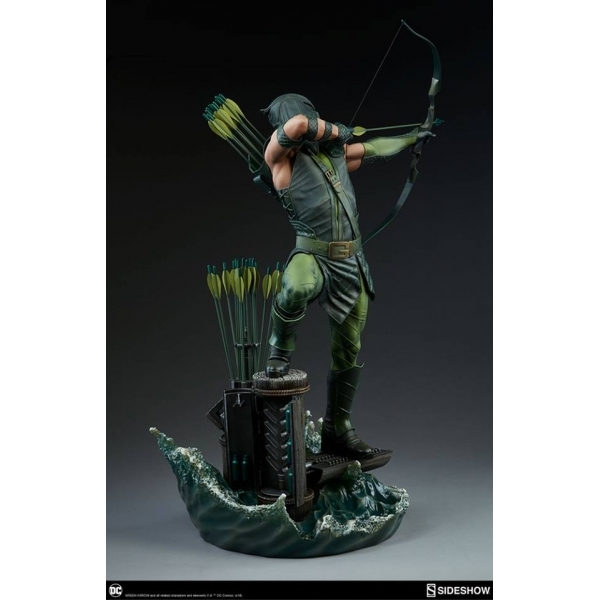 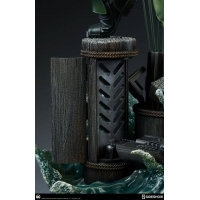 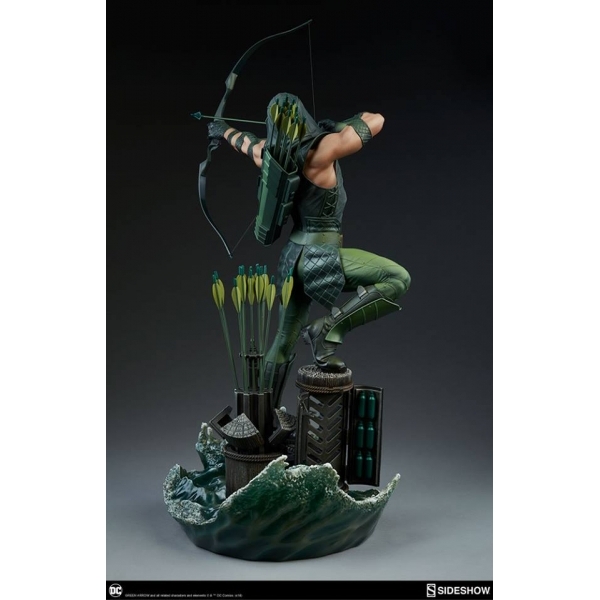 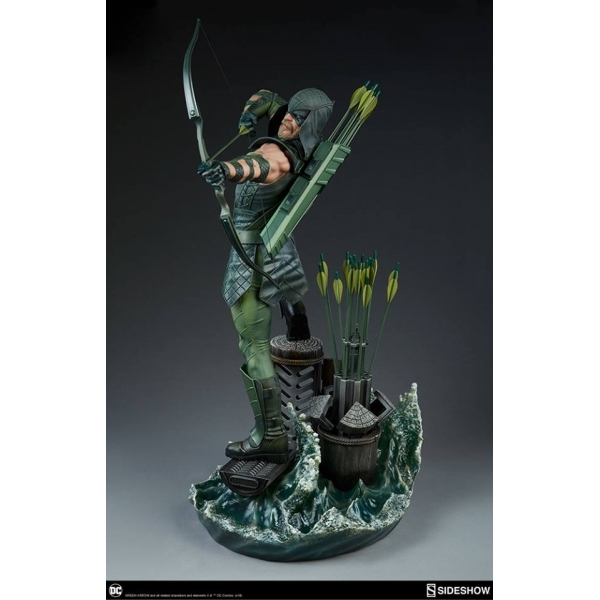 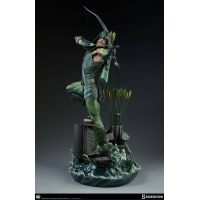 Green Arrow measures 25” tall, standing on a base featuring one of the hero’s hidden caches of arrows, essential for defending Star City. 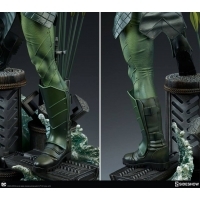 As Oliver Queen draws his bow, sculpted waves churn beneath the bowman’s green boots. 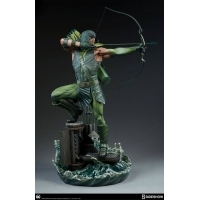 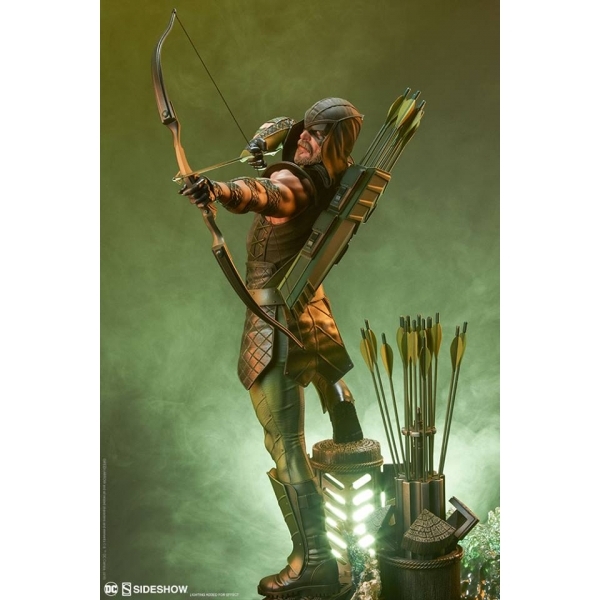 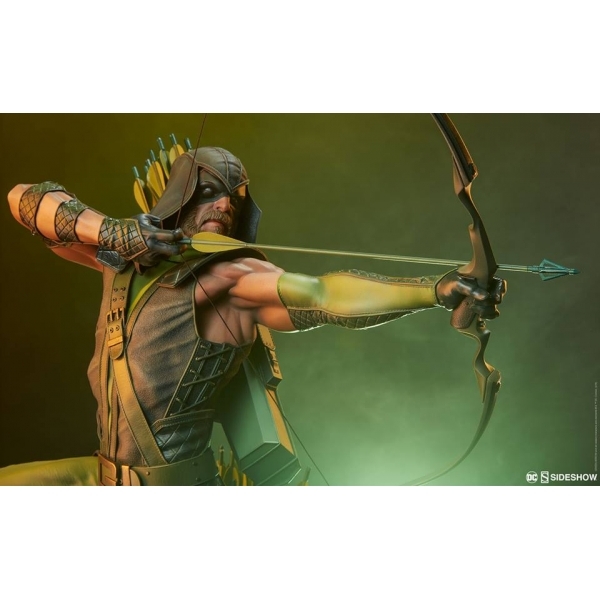 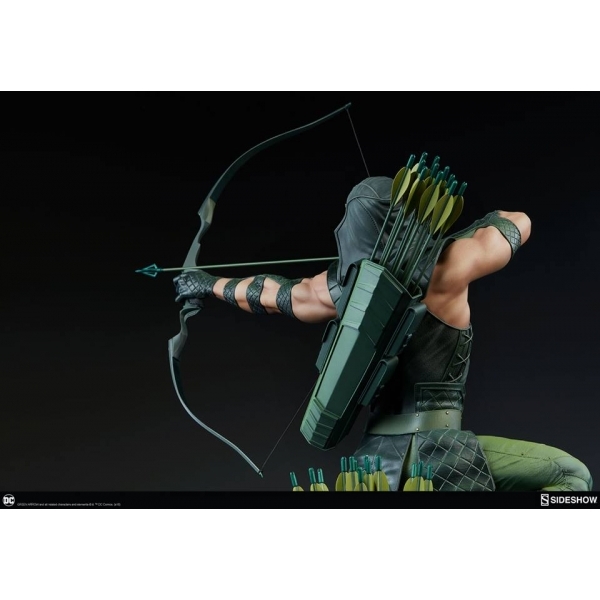 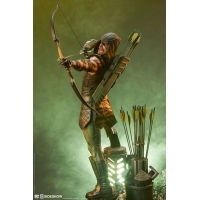 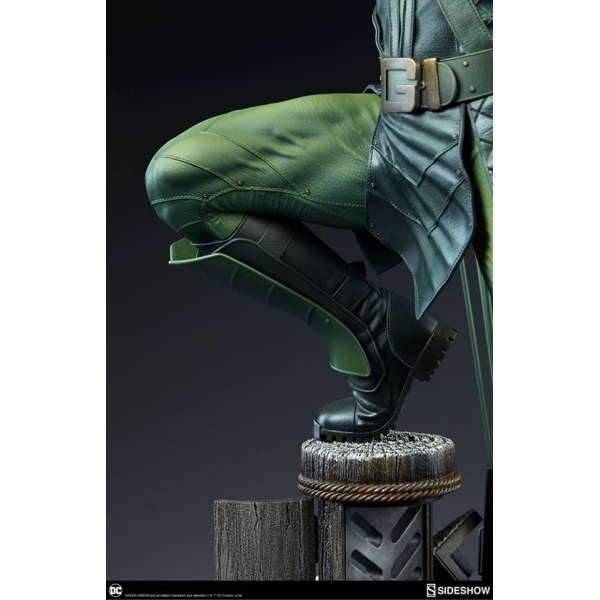 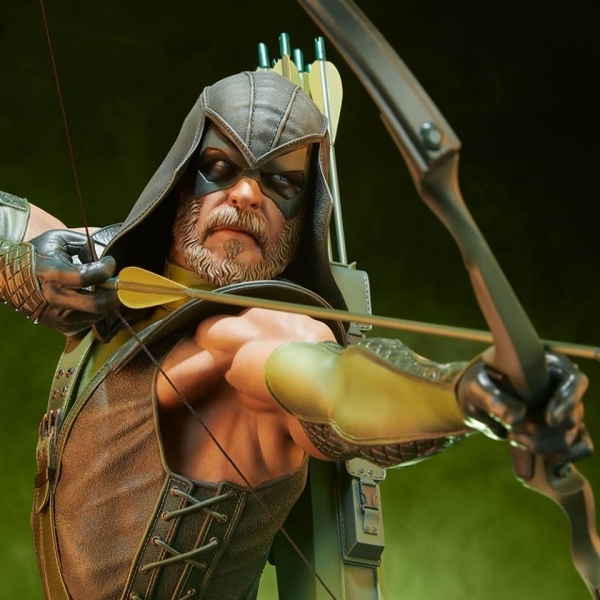 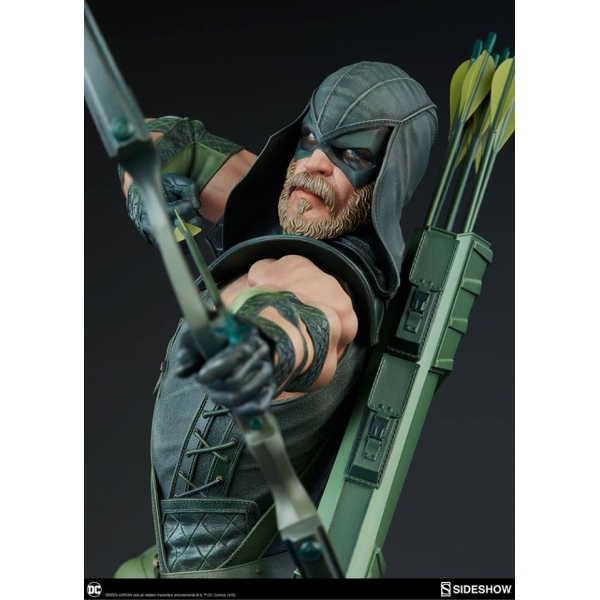 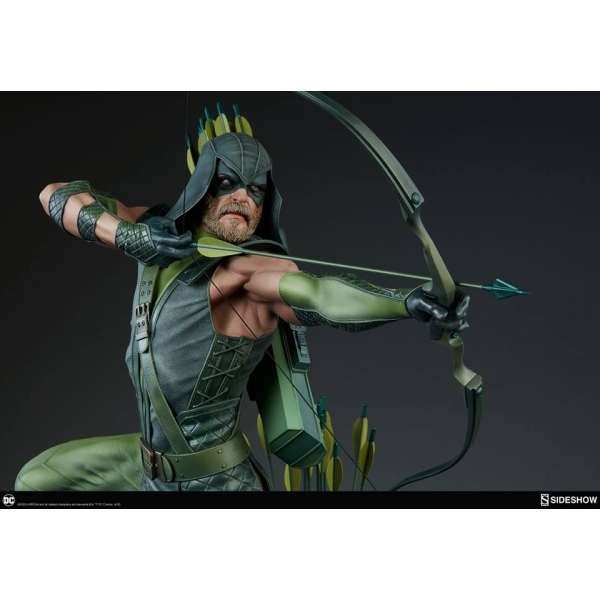 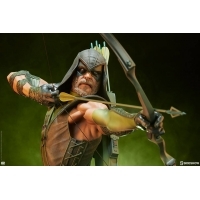 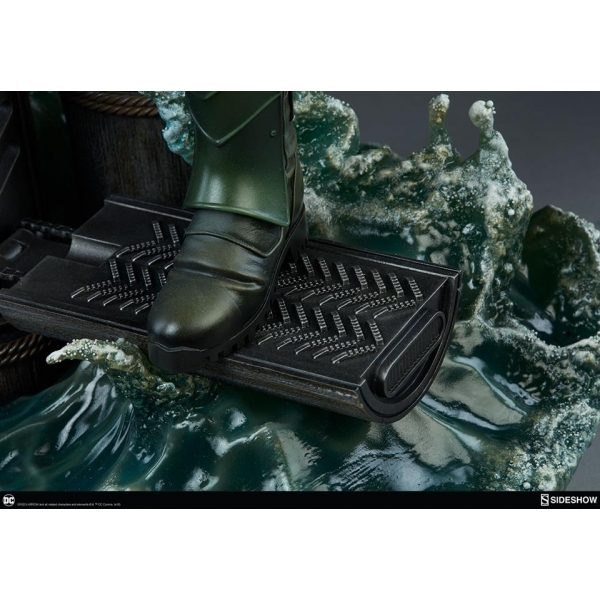 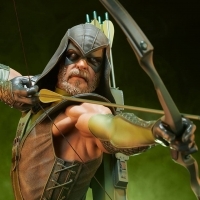 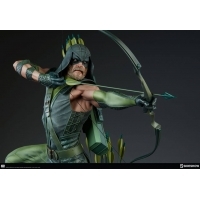 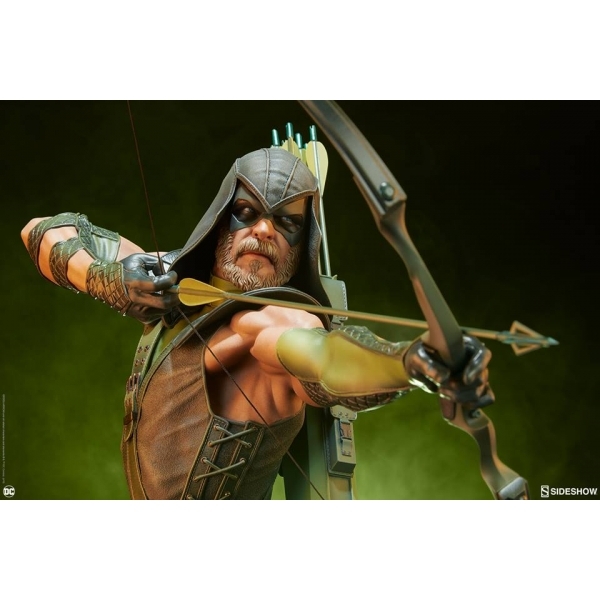 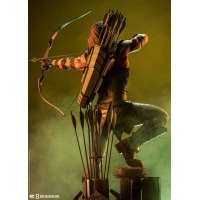 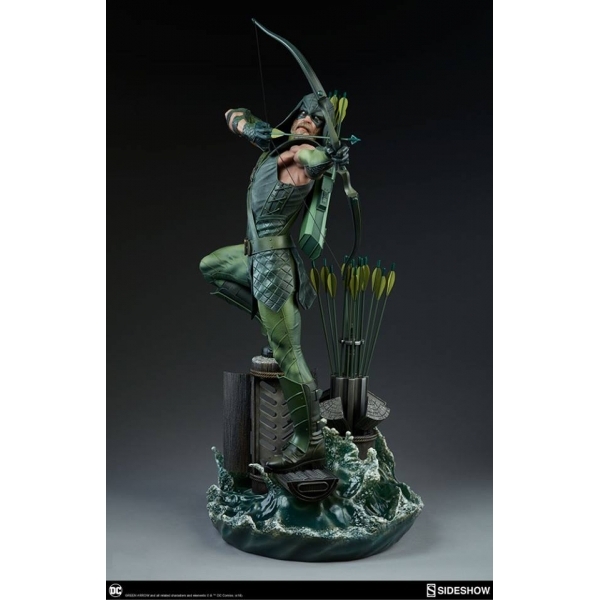 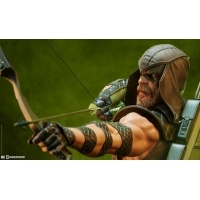 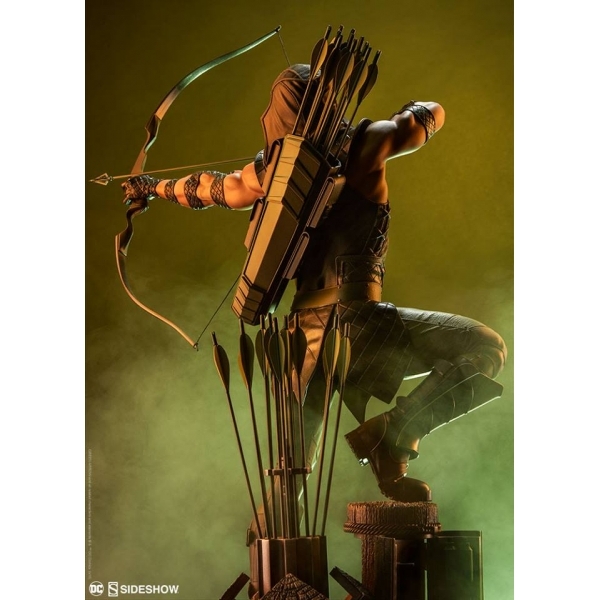 The Green Arrow Premium Format™ Figure features an intricately sculpted costume, detailed with a variety of lifelike textures to mimic the look and movement of a dynamic vigilante uniform, including shoulder guards and an emerald tunic and pants. 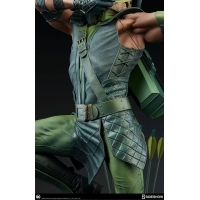 He has an athletic sculpted physique and is equipped with archery arm guards, as well as a fully-stocked quiver at his back. 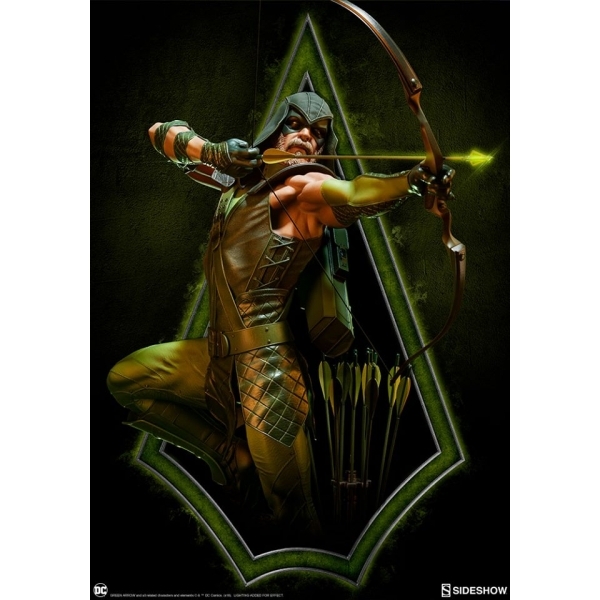 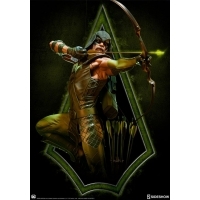 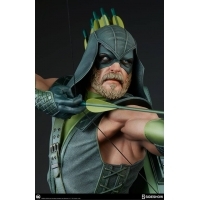 Green Arrow’s hooded modern portrait with a green domino mask and carefully groomed facial hair gives Oliver Queen an air of mystery as he aims with intent at his next target. 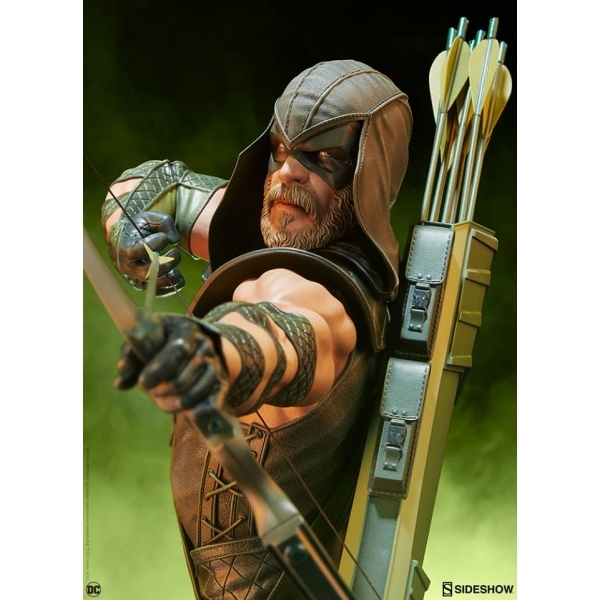 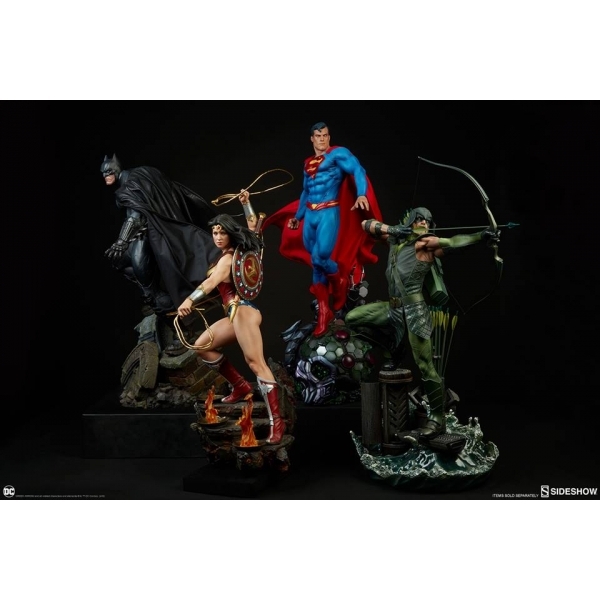 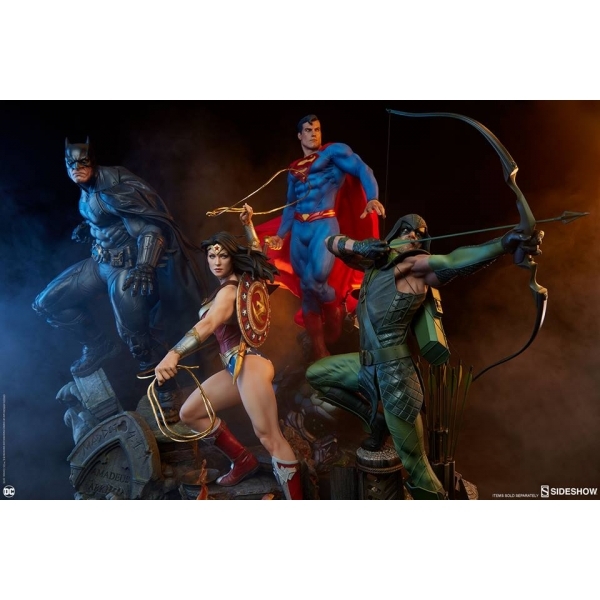 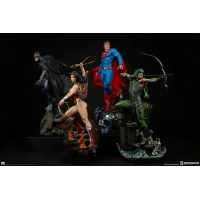 Pair Green Arrow with other popular DC heroes, including Superman, Batman, and Wonder Woman bring justice to your collection. Don’t miss your shot to add the Green Arrow Premium Format™ Figure to your lineup of DC Comics collectibles!